Feeling discouraged these days about motherhood? You CAN be the best mom to your kids—learn how to be a good mom with these important tips and reminders! When you resorted to doing everything you swore you’d never do, like giving your kids junk food or letting them watch an extra hour of television. And other times, those days happen when you feel guilty for working and being away from the baby, or conversely, staying home when you wish you didn’t have to. The worst part? Not only do you feel awful as it is, but you feel doubly worse for even thinking this way. You feel bad for constantly berating yourself or second-guessing your decisions. You start wondering why you can’t seem to love motherhood the way you want to. Trust me, I can relate. All those examples above (including the silly light switch)? Yup, that was me. I’ve shooed my kids away because I was busy on the computer. I’ve stood in the kitchen packing yet another round of school lunches and realizing I’m going to be doing this nearly every day. The danger is when we dwell in this place too long. You see, after years of talking about parenthood, I learned that a “good mom” isn’t some lofty goal that hardly anyone will reach. It’s certainly not the perfect birthday parties and daily craft curriculum you sometimes see. Instead, it’s the simple things—things you probably already do but don’t really give yourself credit for. In fact, nationally-renowned pediatrician Dr. Harley A. Rotbart says it’s not about having the right parenting approach or philosophy, but for the very fact that you’re even showing up. In short, the fact that you’re here—on a parenting blog—already speaks volumes, regardless of the piles of laundry at home or that you yelled at your toddler (during a play date, no less). One of the best gifts we can give kids is our attention. Now, this doesn’t necessarily mean the time spent with them, but how much you observe and listen. For instance, does your newborn like to use a pacifier, or do you find he sleeps better in the swing? What triggers your toddler to throw a tantrum, and is that something you can prevent and avoid? How comfortable is your child in social settings—does she feel drained or energized by large groups of people? Then there’s the attention that happens simply by listening, the kind that goes beyond listening to their stories and words. Do you take their point of view into consideration, or is it your way or the highway? Can you read between the lines and see that your toddler’s whining is really her way of saying she needs you right now? Do you understand that her grievances and anxieties are truly real for her, even if it’s about a lost toy? 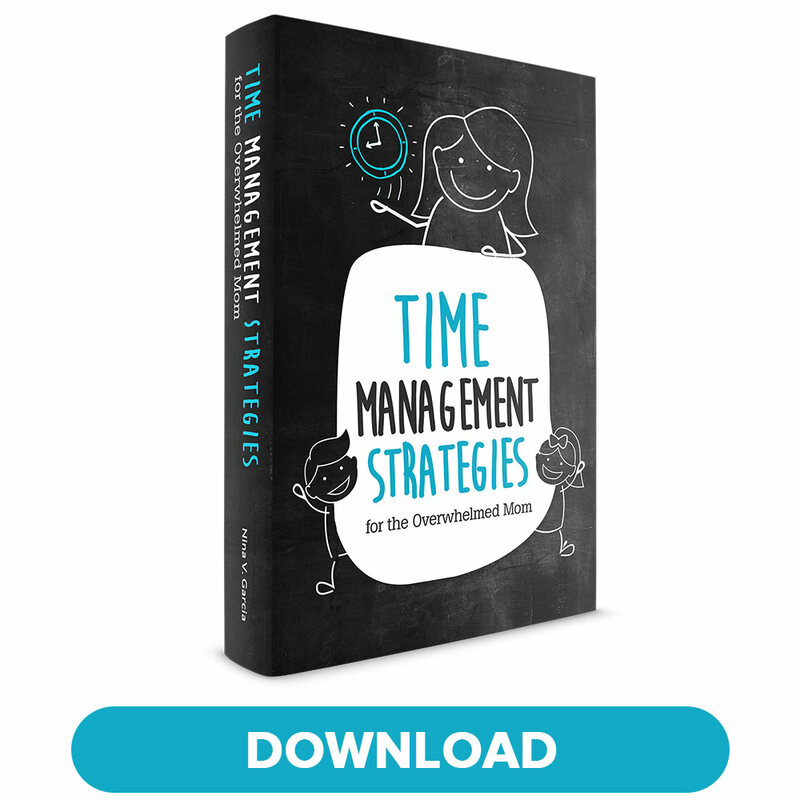 Paying attention is one of the best tips on how to be a good mom — and it goes beyond the hours of the clock, but how attuned you are to your child. If you feel like parents these days are more hands-on than the way you grew up, you’re not alone. Many moms—even with the best intentions—hover over their kids, micromanaging their every move. Whether it’s to shield them from disappointment or provide the best opportunities, moms are much more involved in their kids’ lives than ever before. The trouble is, this doesn’t exactly help kids become independent, self-sufficient, or responsible. They can’t entertain themselves, have little sense of self, and are terrified of making mistakes. After all, when have they been given the chance to? Yes, you can provide guidance and support, but don’t feel like you need to be with your child 24/7. Even with the mistakes they make or the disappointment and frustration they’ll feel, this is the perfect time for them to “practice” recovering from these inevitable situations at an early age. At the end of the day, our job is to raise future adults. And, hopefully, future adults who make choices not out of fear of punishment or for reckless ambition. Rather, future adults who make good choices based on what they feel is the right thing to do—even if it’s not easy, and even if it’s not popular. A good mom helps her child do just that, starting in childhood. This is why getting kids to listen using rewards or punishment might “work,” but not when you have the bigger picture in mind. A good mom also understands that kids will make plenty of mistakes, the kind that makes you say, “I already told you not to do that a hundred times!” The kind that makes your heart break as you see them disappointed, or even embarrassed when they say something mean to someone. It’s all part of childhood. Except your role is to help your child understand the consequences of his mistakes, and what he can do better next time. Get more tips about helping your child make good choices. What your child wants isn’t always what’s best for her, whether it’s sleeping in your bed yet again or getting every toy she asks for. This goes for what you want as well. As much as you want to hang out with friends every night or feel tempted to raise your voice, you know that neither is what’s best for her, at least right now. So it’s all about finding that balance, and thinking in the back of your mind whether the choices you make are what’s best for your child. Yes, you find flexibility—that bag of potato chips isn’t going to damage her forever—and you do need to find time for your hobbies. But between the two of you, you’re the adult, the “bigger person” who sometimes has to put her pride and needs and wants aside because your child needs you to. No doubt about it, we’ve made our share of mistakes… and will continue to. You don’t need to see this as a bad thing, but rather as an inevitable fact of life we can actually use to our advantage. You see, motherhood gives us so many chances to improve ourselves. Instead of feeling down or wallowing in self-pity, we can learn from these experiences. We can use them to find better ways to raise our kids in a way that works best for our families. Yes, you goofed by taking your child to a play date when you knew she was cranky from a missed nap. But guess what—that epic tantrum she threw now serves as a lesson on prioritizing her sleep, or perhaps helping her cope with frustration. Yes, you yelled at her for hitting her brother, but you also learned that sibling rivalry triggers your temper, and what to do the next time it happens. A good mom doesn’t just move on from these experiences, or worse, blame others or her circumstances for why they keep happening. Instead, she finds all the ways she can change for the better and help her kids as well. Think about all the things you tell yourself that aren’t helpful: I’m not a good mom. Why am I always scrambling to catch up with the mess at home? I can’t seem to get my kids to listen. With these messages on repeat in your mind, no wonder you start to feel down about yourself. Instead, remind yourself of just how far you’ve come. Perhaps just months ago, your baby was still waking up multiple times a night and you could barely get a shower in. Think of how much calmer you’ve been, or how your kids have learned to work out their conflicts on their own thanks to your help. With every age and stage, new challenges will pop up, making it easy to feel like you’re not getting anywhere. But when you look back at all you’ve overcome, then you realize, holy cow, you’re one heck of a mom. Every mom has wondered whether she’s doing a good job at this parenting thing. But like Dr. Rotbart said, the very fact that you’re here means you’re already on the right path. And that learning how to be a good mom is less about finding the right parenting method, as it is about being intentional with your choices. It starts by paying attention—listen and observe your child so that you can get to know her and her needs. Give her the space to make mistakes, find her sense of self, and develop into the future adult she’ll be. Help her make good choices, not by rewards or punishment, but by guiding her through the family values you support and letting her experience the consequences of her choices. Do what’s best for your child, even when it’s hard for both of you. Use the mistakes you’ve made to improve yourself, and always remember just how far you’ve come. It’s easy to feel discouraged when all you see are the struggles and challenges. It takes looking back at where you used to be to see the amazing mom that you are. You’re a good mom. I’m not sure when the last time was that you heard that sentence, so I’ll say it again: you’re a good mom, and your kids will turn out more than all right. Yes, even if you yelled at them just for playing with the light switch. 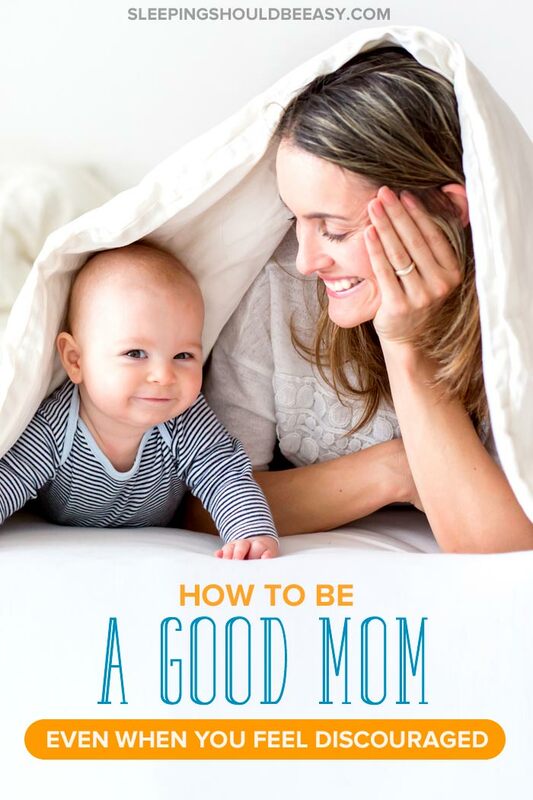 Did you like this article about how to be a good mom? Share it on Pinterest and Facebook!